Jaime Hayón's back catalogue and a furniture collection inspired by an 18th-century religious sect are among the attractions we recommend at Stockholm Design Week, which gets underway tomorrow. The event encompasses the Stockholm Furniture and Light Fair, one of the biggest international events on the design calendar. Held at the Stockholmsmässan exhibition centre, it hosts more than 700 exhibitors. Animal-inspired design will be well represented at this year's Stockholm Furniture and Light Fair, where the guest of honour is Spanish designer Jaime Hayón. As the holder of that title, he will present a pavilion filled with his past works. The "DNA" comes into it because Hayón will use the installation to explore the DNA of his work and show how the pieces are connected. Held at the Swedish Centre for Architecture and Design (ArkDes), the Designed to Last exhibition focuses on one of the biggest issues in contemporary design: sustainability, and what it means to make objects for the long-term. Produced by ArkDes together with the magazine Residence, the exhibition features work from Fredrik Färg and Emma Blanche, Calle Forsberg, Petra Gipp, Emma Olbers, Folkform, Johan Carpner, Christian Halleröd, Massproductions, Melo and Carina Seth Andersson. The last year has seen a proliferation in design influenced by the Shakers, an 18th-century religious sect that valued restraint. 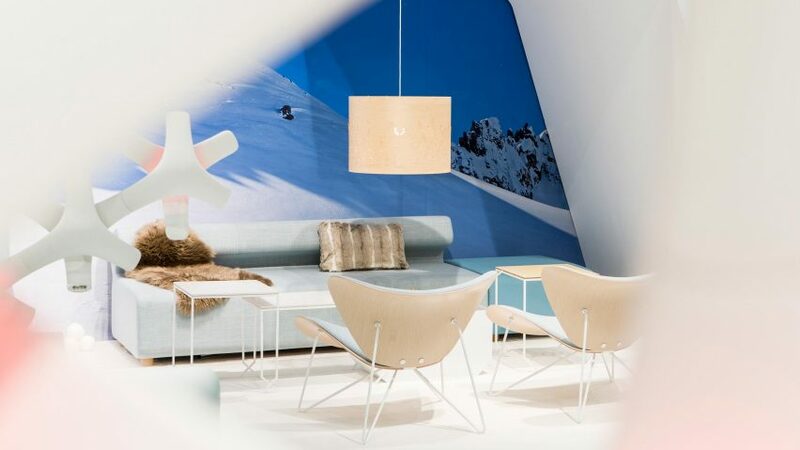 That trend continues at the Stockholm Furniture Fair, where an exhibition called Furnishing Utopia will showcase contemporary Shaker-inspired works by 20 designers – alongside historic artefacts from the Shakers themselves. Since 1998, the Young Swedish Design (Ung Svensk Form) Award has been bringing together the best new objects by emerging creators. For Stockholm Design Week 2017, Svensk Form and Stockholms Auktionsverk are not only collecting together 80 of these designs, they will be auctioning them off at the end of the fair. First presented at the Design Museum in Helsinki in 2016, this retrospective celebrates the work of Finnish designer Eero Aarnio, who rocketed to fame in 1966 with his Ball Chair, a smooth-shelled icon of the Swinging Sixties. The exhibition is said to embody a sense of fun and experimentation befitting Aarnio's designs, with some of the work displayed on roving platforms. The exhibition is being brought to Stockholm by the Nationalmuseum Design and shown at its temporary home at the Kulturhuset Stadsteatern.